After a hard workout at the gym I need something to satiate me and help my sore muscles recover. What I don’t want is to load up on carbs (sorry, oats, I love you, but…), which just catapult me into Carb Coma land. 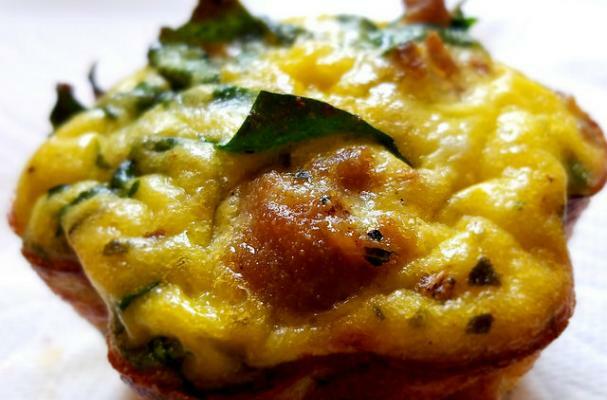 What keeps me going until lunch time are these hearty little egg muffins. I use Isernio’s Chicken Breakfast Sausage as they use only natural ingredients and are gluten free, but any sausage is fine, just make sure it’s a quality one and not filled with unrecognizable ingredients. I also like to use collard greens as it holds together nicely in the oven and doesn’t “sweat” as much as spinach does. It also has a lovely natural sweetness to it that spinach and kale lack. Plus, it’s loaded in fiber, protein, calcium and iron. And, a 1-cup serving provides us women with our daily requirement of Vitamin A (men, you need to eat about 1/4 cup more to reach your RDA), and well more than our daily requirement for Vitamin K (necessary for healthy bones and calcium absorption). I haven’t given up on spinach or kale, but collards are definitely my new go-to power green! 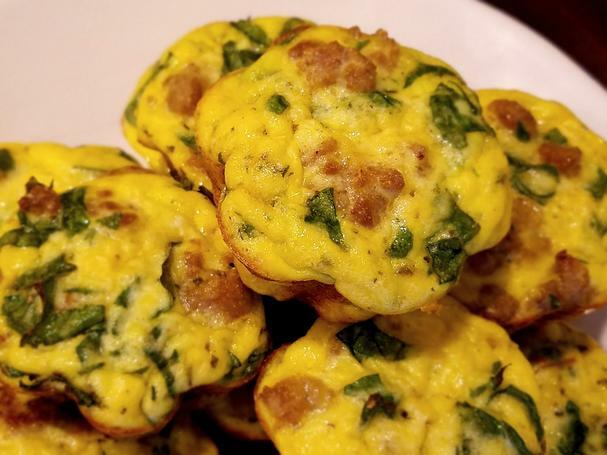 Whip up a dozen of these easy egg muffins to have as a quick grab-and-go breakfast all week long! 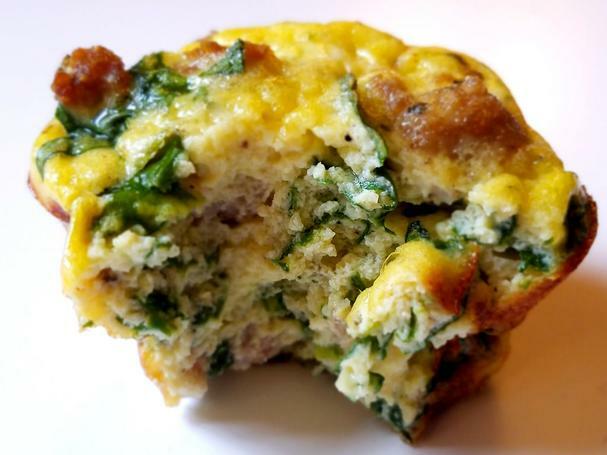 Note: if you're not on a Paleo or Keto diet and are looking for a lower in fat breakfast, simply use a lean sausage and low-fat ricotta. 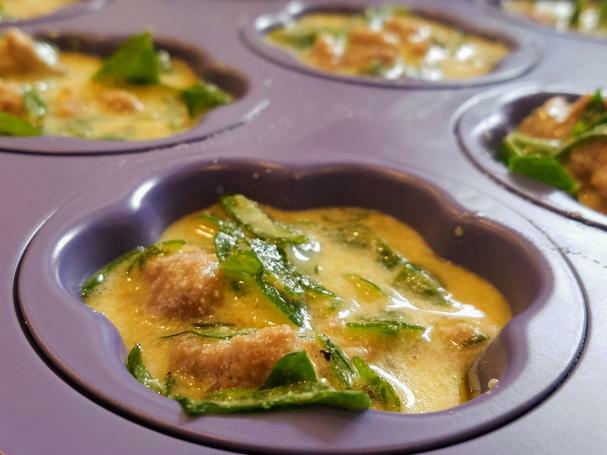 You can even use egg whites in lieu of the whole egg.